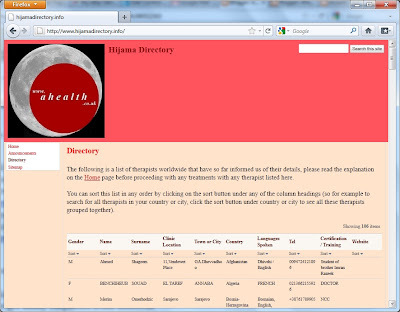 As you might be aware, we have been compiling a simple Hijama Directory at www.hijamadirectory.info since November, 2009 after we started receiving requests from blog subscribers asking for the location and information of their nearest therapists. Over the past 4 years we have gradually had almost 500 therapists registering on the Directory from different parts of the world, and after running some recent surveys with blog-subscribers as well as the therapists themselves, the conclusion was the directory was now due for an upgrade. 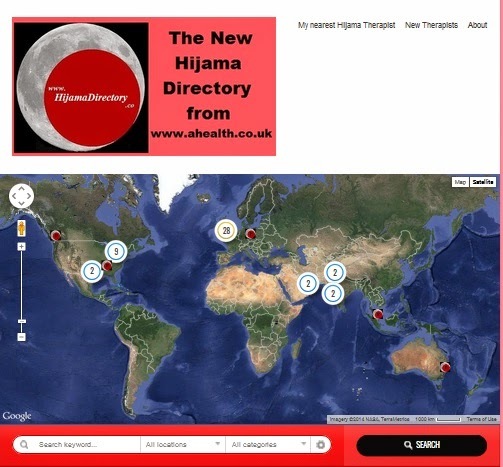 In the past few months we have been experimenting with a new map-based directory format at www.hijamadirectory.co and last month, when we finally reached our limit on the old directory of 500 entries, we have started upgrading all the therapists to the new Directory. And finally, if you are a hijama patient treated by your local therapist who you would like to recommend to others in your part of the world, please feel free to leave a testimonial about them via a comment* below. Our thanks to all the therapists that have registered so far with us to make this directory possible. If you have any questions or want to leave some feedback on any of the listed therapists, then please do so via a comment* below.